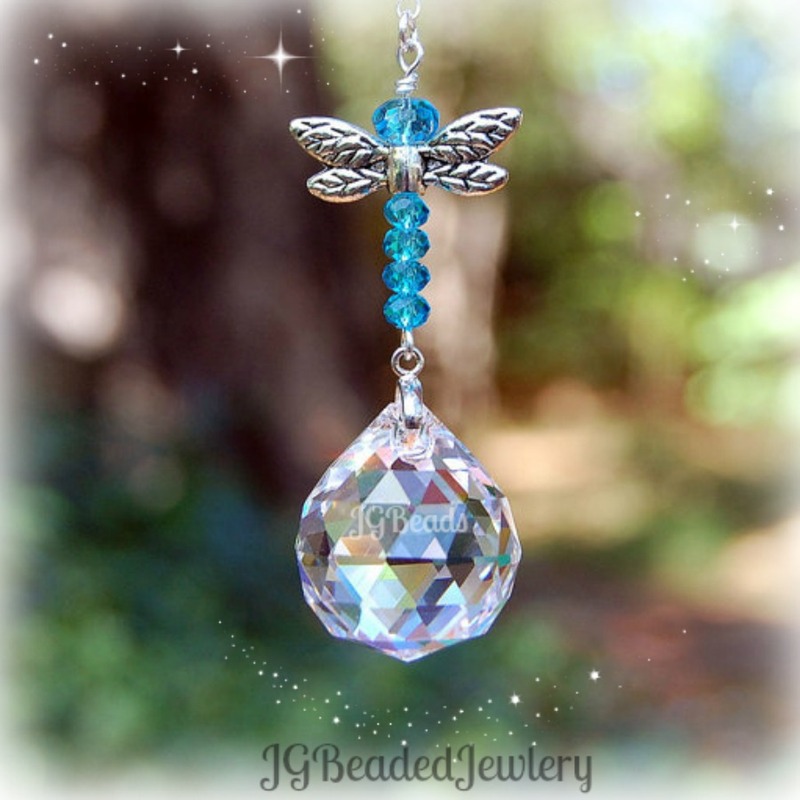 Dragonfly decoration for the rearview or window! 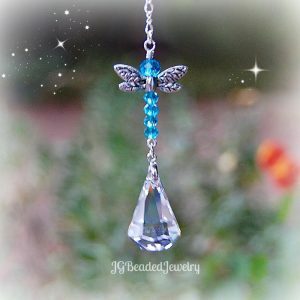 This blue dragonfly suncatcher is handcrafted and uniquely designed using a 20mm prism crystal on a silver bail, faceted sapphire blue crystal beads and silver dragonfly wings. The dragonfly decoration comes on your choice of a silver chain with clasp (for ease of hanging on the rearview mirror) or a six inch chain with ring for hanging in a window, porch, sun room or wherever you choose! 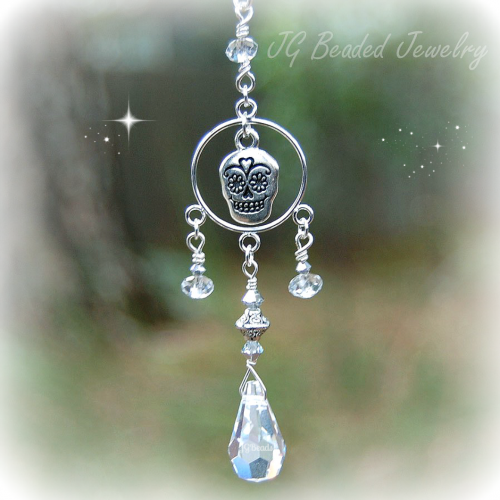 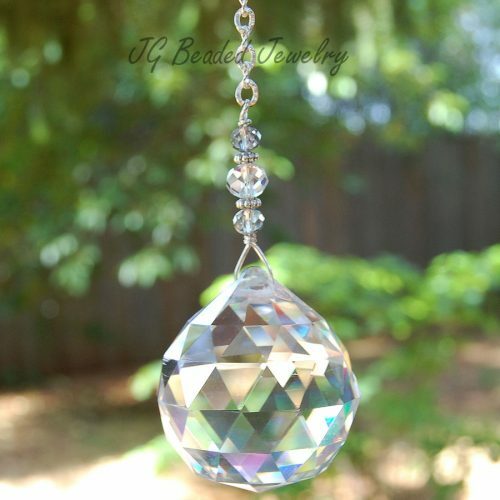 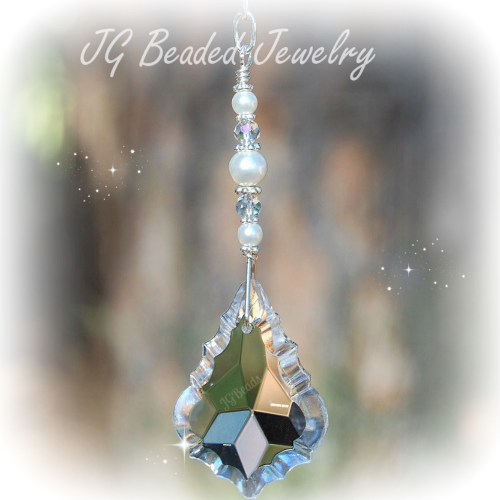 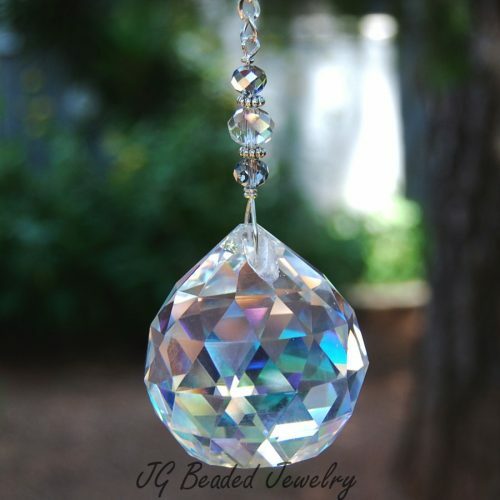 Offering many unique and individually handcrafted crystal suncatchers and crystal rearview car charms!